The portrait of Snowey was commissioned as a present for her owner in 2015. Snowey had passed away a year before that and her portrait was to be a keepsake for the client's sister, her owner. The photos I received were excellent and it was such a pleasure to work on the portrait. Since the portrait was quite small at 15 x 20 cm, the picture was cropped. 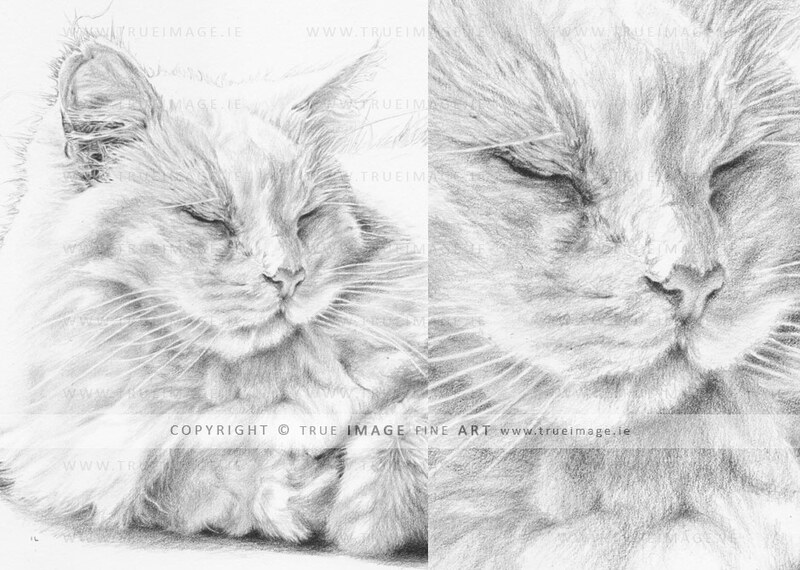 The drawing was drawn with graphite pencils and I kept it very soft. 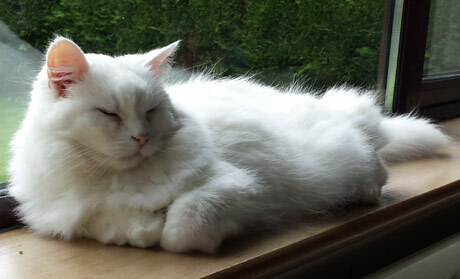 Snowey was a beautifully white long-haired cat and the client wanted that to be shown in the portrait. She also preferred a white background. Most of Snowey's face was in the shadow in the picture, so I didn't make the drawing too dark. "Hi Ivana, that's absolutely lovely. Am sure my sister will love it."